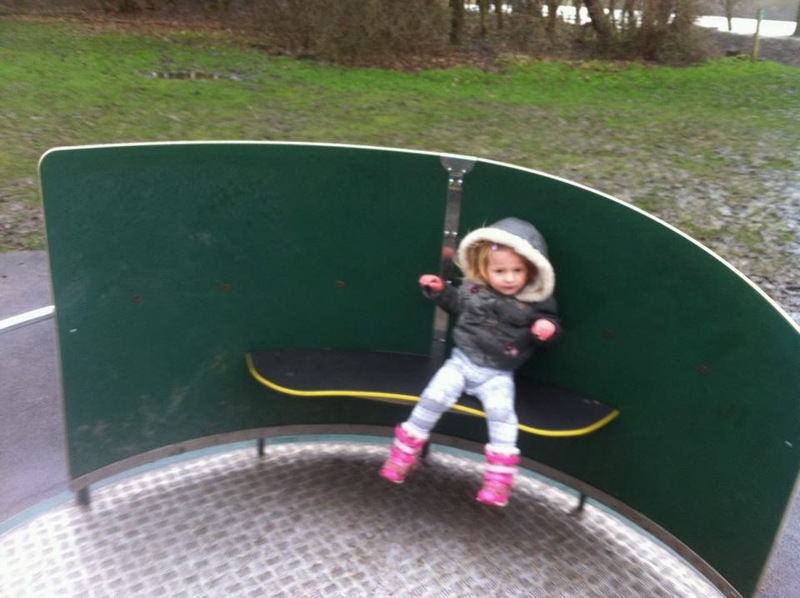 It was Friday... the last week day of the February half term, daddy M was working, and the weather wasn't great. S was getting irritable at the thought of having another movie day, like Thursday had been, and J was happy doing anything, she was in a good mood. Once we were ready, I realised we had no spare bread to feed the ducks, so we had a little trip to the shops first, they choose a loaf each , then paid separately too, then we were finally off. We made it to Pennington Flash Country Park and managed to get a cheeky parking spot where we didn't have to pay for parking (tight mummy M) but an extra little 5min walk... that will come back to haunt me later! Once booted up, we were off, and at the ducks! I let the girls loose with their bread, and the geese soon spotted the huge loaves they were carrying, and surrounded them, the girls instantly put their backs to each other, and it looked like they were watching each others back! The geese kept taking full slices out of their hands, which upset S, so she just started throwing full slices at them before they got to her. 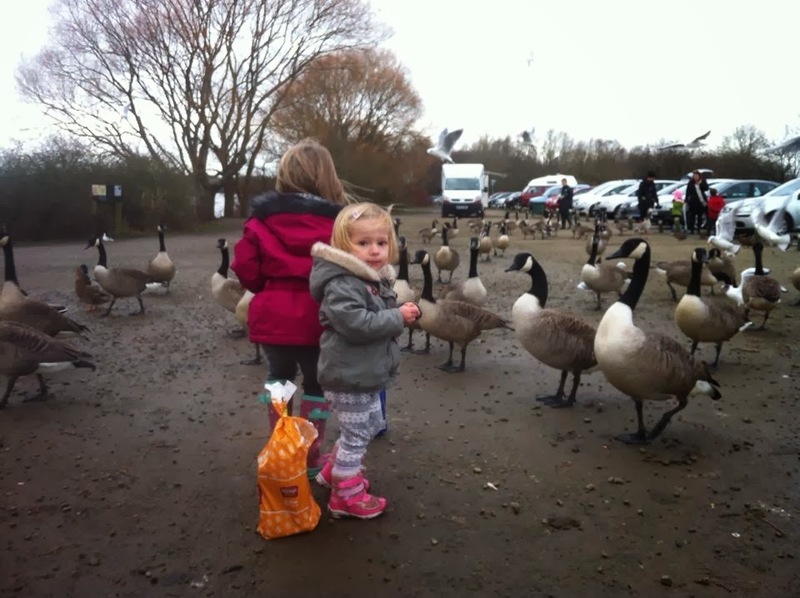 J was loving the fact that all the eyes of the geese were on her! and S stayed back holding my hand, this is very unlike her, its like role reversal! This is how it remained the whole way around the park, until we started to look for items we could find, then she wouldn't let go of a baby fir cone and a stick! We came to a fork in the paths...left meant a longer walk...right meant back to the car... I let J choose, so the longer walk it was. All went well until we were about the half way point, when the heavens opened, and we were soaked.... J was cold after all the puddle splashing had caught up with her, inside her wellies, and upto her knickers... drowned rat springs to mind... and S was getting upset, she had a fever earlier in the week, so could be recovering from that still? So I ended up carrying her until we reached the park, where even though it was still raining, both girls were cold, but they still wanted to play!! After the play in the park, the rain stopped long enough for us to get some chips from the chip van, thinking the girls could nibble whilst walking that extra 5 minutes back to the car... just as we got them, the heavens opened again, S started to cry again, so up she went on my hip to get to the car, and J was scared of dropping the chips so wasnt walking, so we ran back to the car with mummy carrying S, and two small cones of chips... back to the car to warm up and eat... then home for some hot chocolate, baths and onesies! After today, I have learnt that we need puddle suits!! 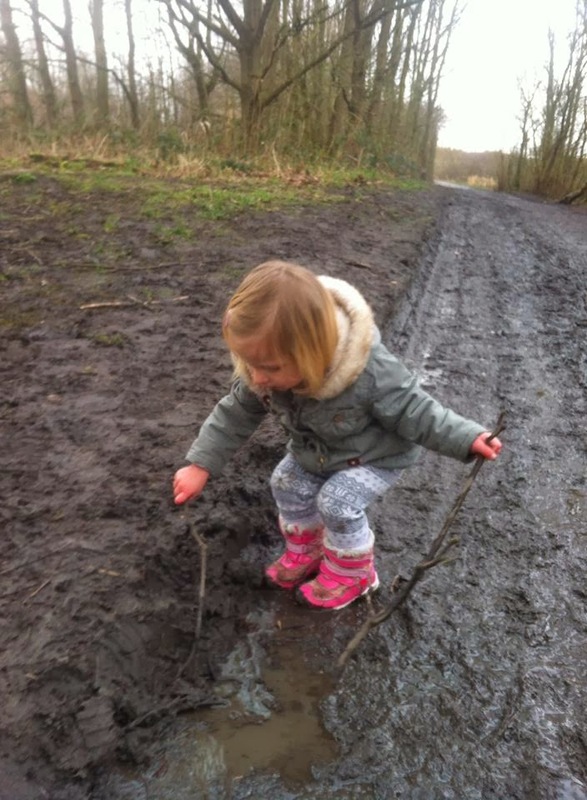 J is getting so much more confident around puddles and mud trying to make as big a splash as she can... J is such a girlie girl, she used to be worried about getting wet and dirty, but that fear seems to have faded, now she needs to keep warm! 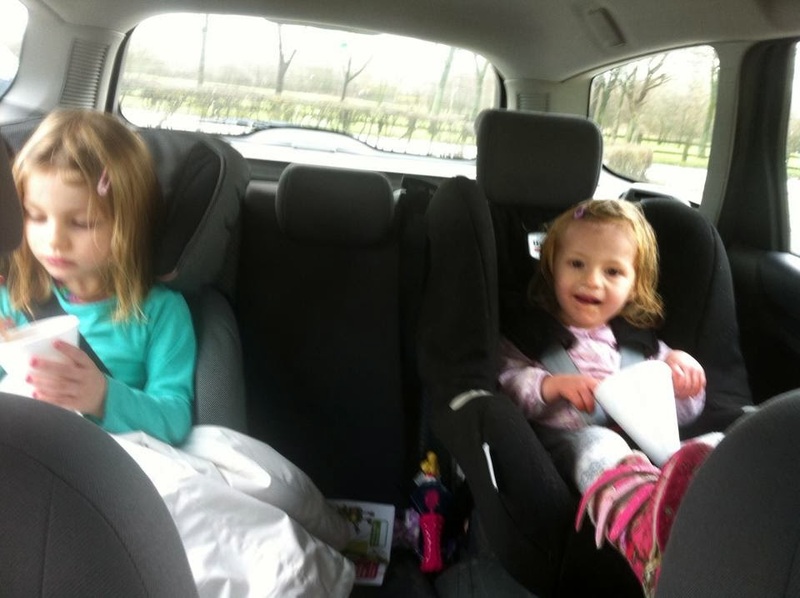 Im adding the country kids linky, as think our day out fits in with country kids perfectly! 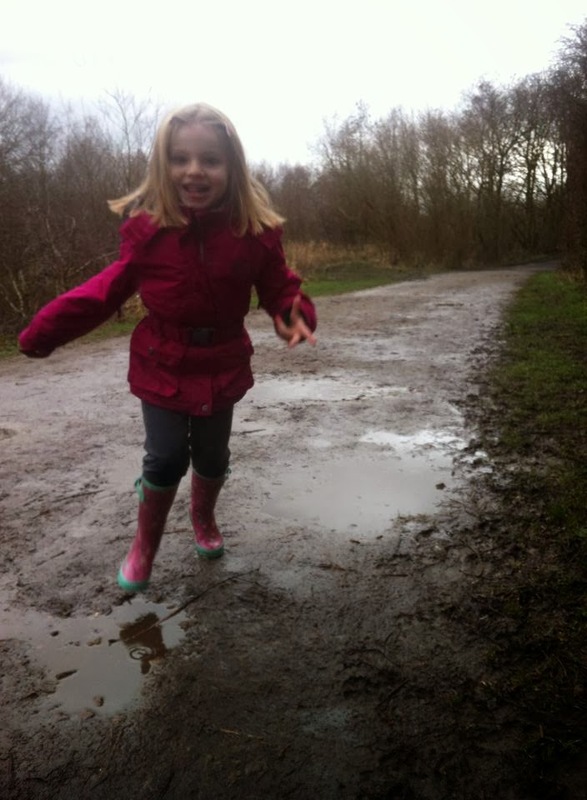 Wonderful outdoor play in the puddles and rain! I'm sure once the girls have waterproofs they will be happy to splash around in the rain but still be warm and dry. 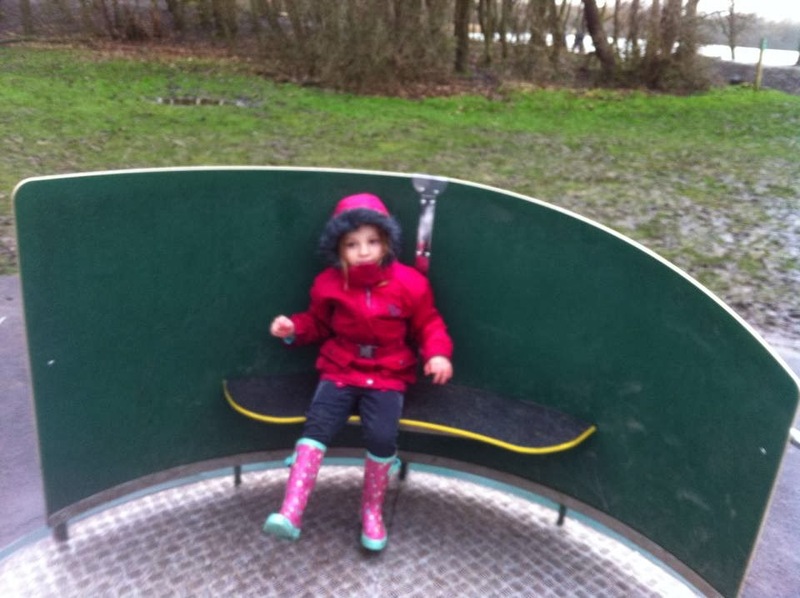 Thanks for linking up and sharing your outdoor fun with Country Kids.